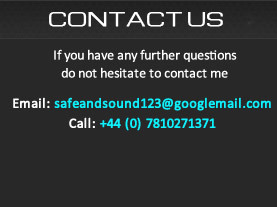 This blog post will be to highlight a video I have just uploaded with some of the great music that has been mastered by myself here at SafeandSound Mastering. A full range of styles, 28 tracks in total approx 30 seconds each in a seam-less montage. I am more than comfortable mastering all music styles from rock to dance genres, acoustic, jazz and everything in between. The video/audio is best viewed at 720p (HD) in YouTube and in full screen mode, press play to start the video and then click the “Cog wheel” in the bottom left where the video playback controls reside. This way you can clearly read the video capture of the very informative FAQ page on this site as you listen to the sublime sounds of just some of the artists I have been fortunate enough to work with in 2013. There are 320kbps MP3 files below the video for improved fidelity. Enjoy….